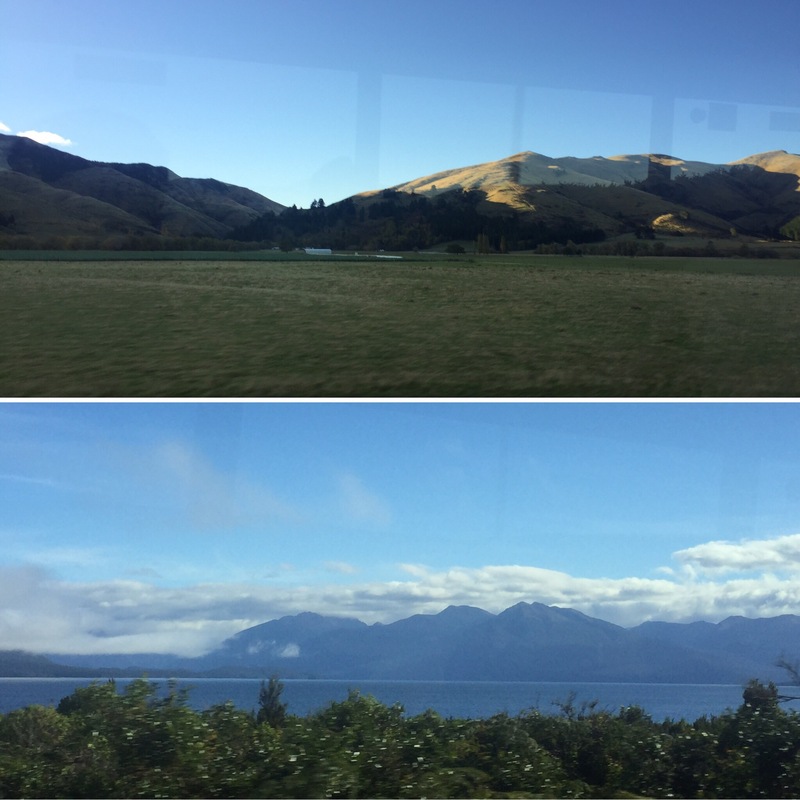 On the 21st April 2017, we had to get the bus at 7am for our day trip to Milford Sound and as you party a lot in Queenstown, everyone pretty much slept from the beginning of the bus journey. 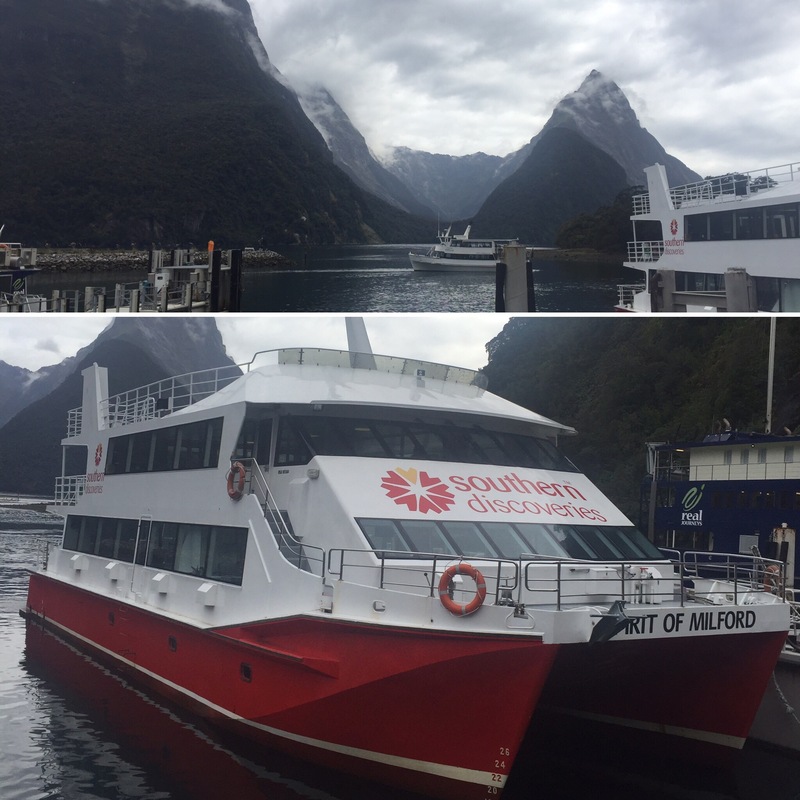 I would occasionally wake up and see the beautiful scenery we were passing with blue skies overhead and so I was hopeful we’d have nice weather for our day at the famous Milford Sound. 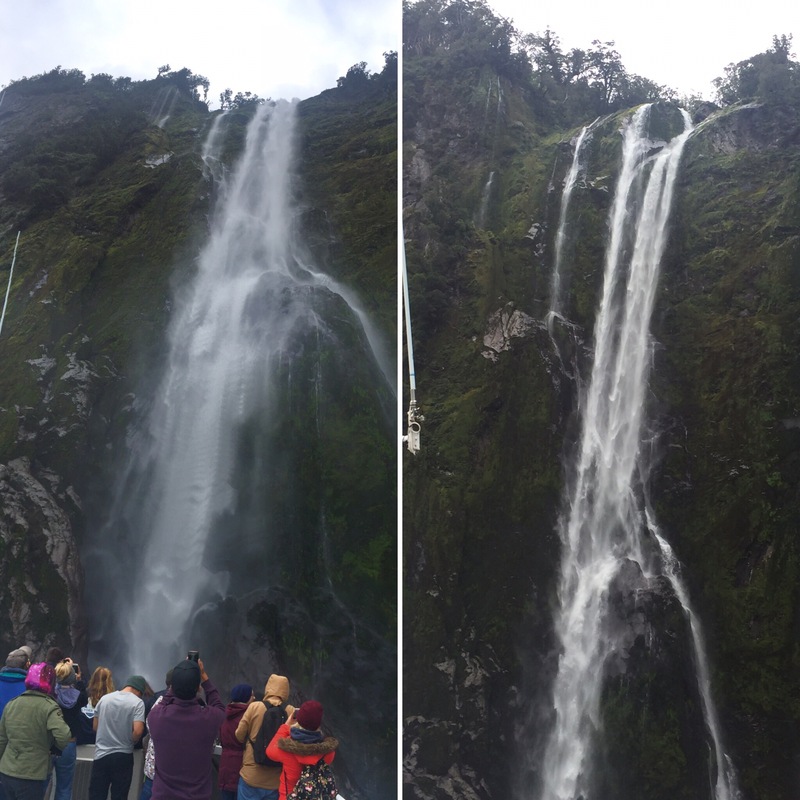 We had a short stop at Te Anua for people to get some breakfast before we would carry on to Milford. 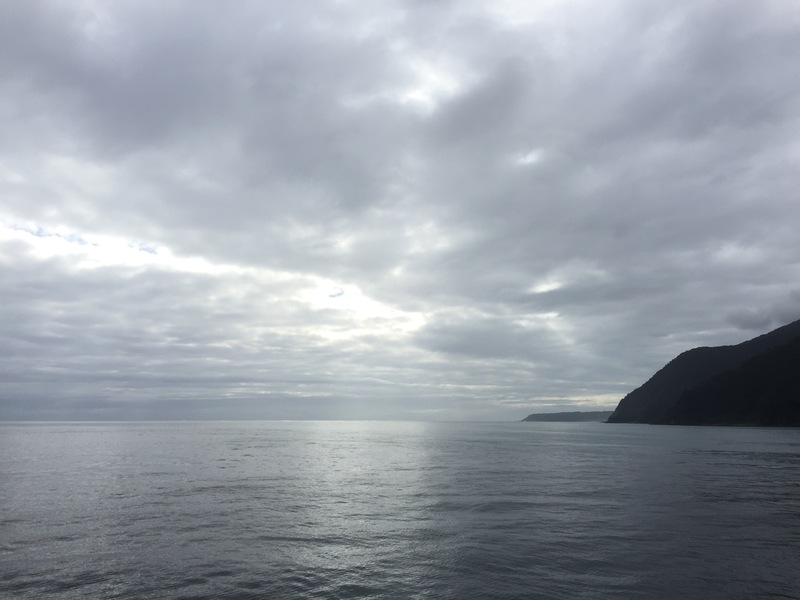 It was cloudy in Te Anua so we all just had to hope it would be clear by the time we arrived for our boat trip. 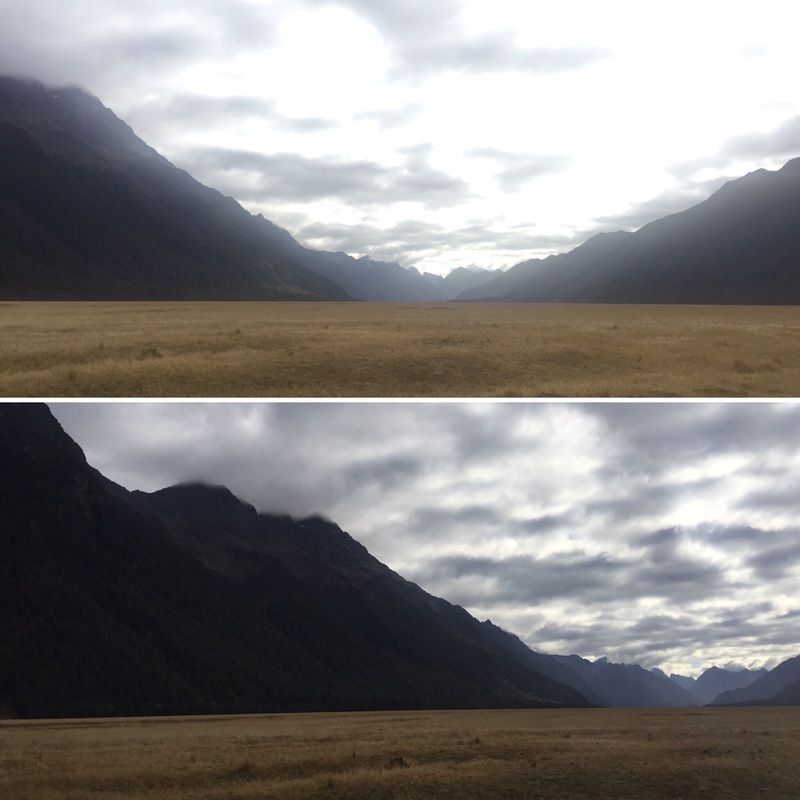 Along Lake Te Anua (the 2nd largest lake in New Zealand and the largest fresh water reservoir in the Southern Hemisphere as it’s over 400m deep) was a very low lying cloud under the mountains which we had never seen so low before getting to NZ – I don’t know whether this is because it’s all higher than sea level where we were or not but this was also slightly ominous for how the weather would be the rest of the day. 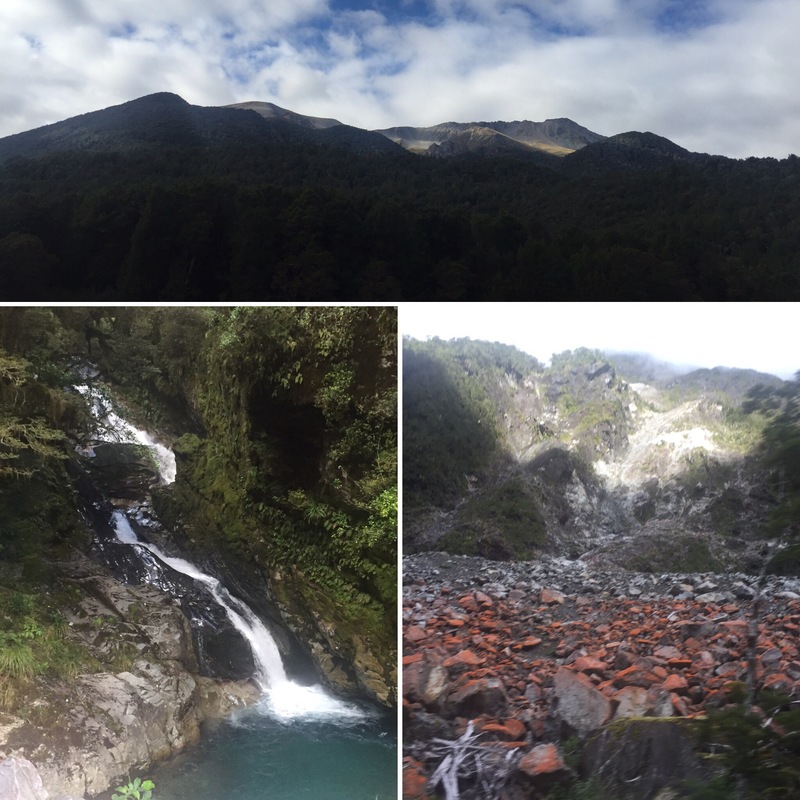 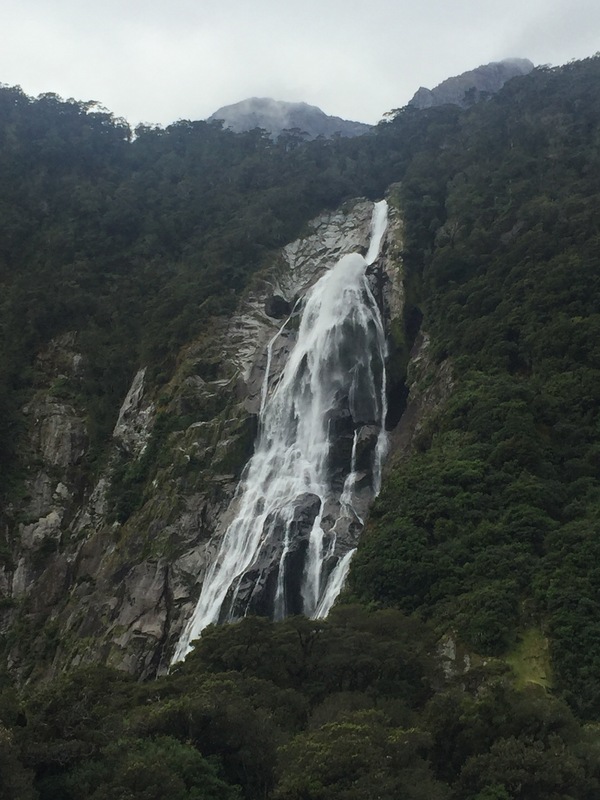 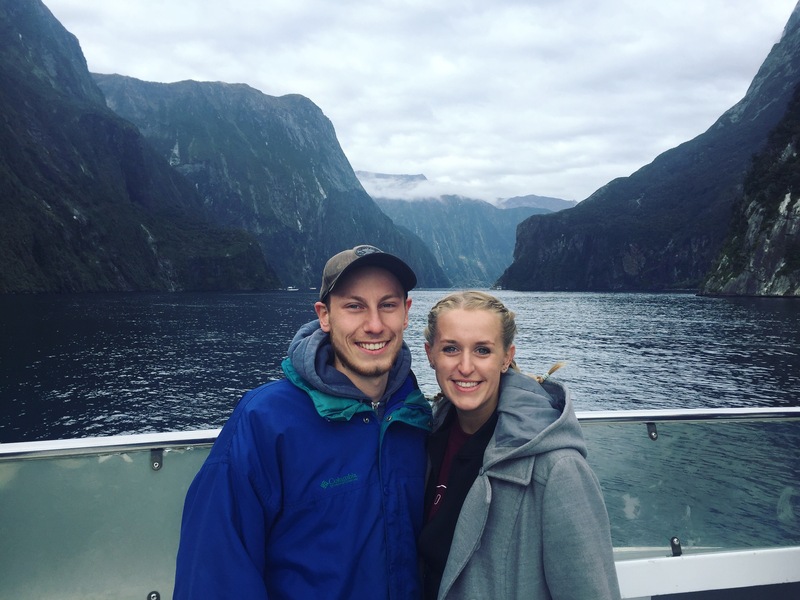 We headed into the Fiordland National Park which is the largest in the country at around half the size of Wales! 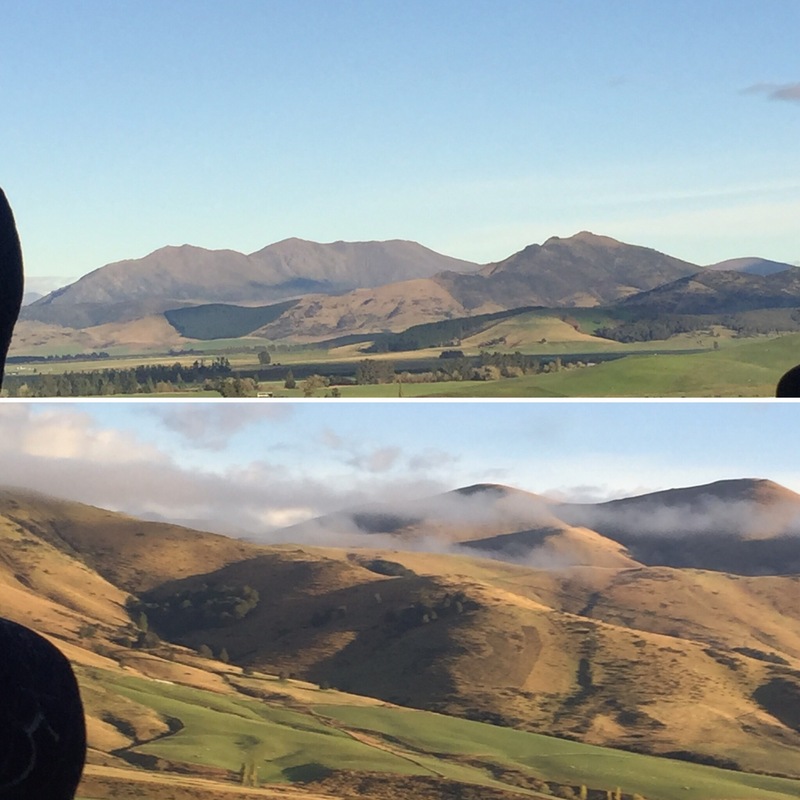 The first proper stop for the day was in Eggleton Valley. 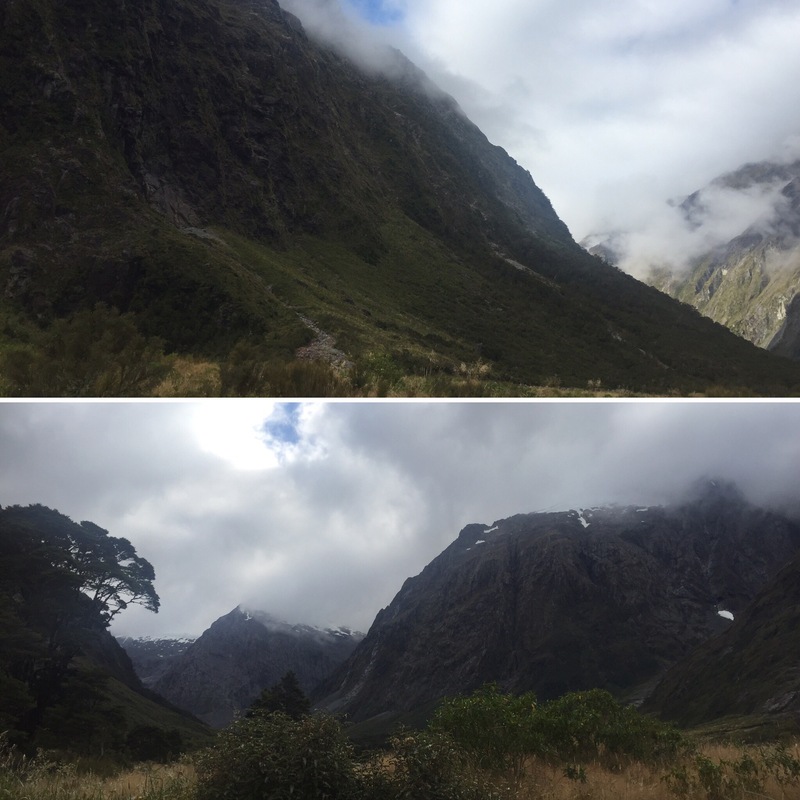 We then stopped at Hollyford Valley where the cloud setting made us a little disappointed as if wasn’t as breathtaking as our friends had had a few days before. 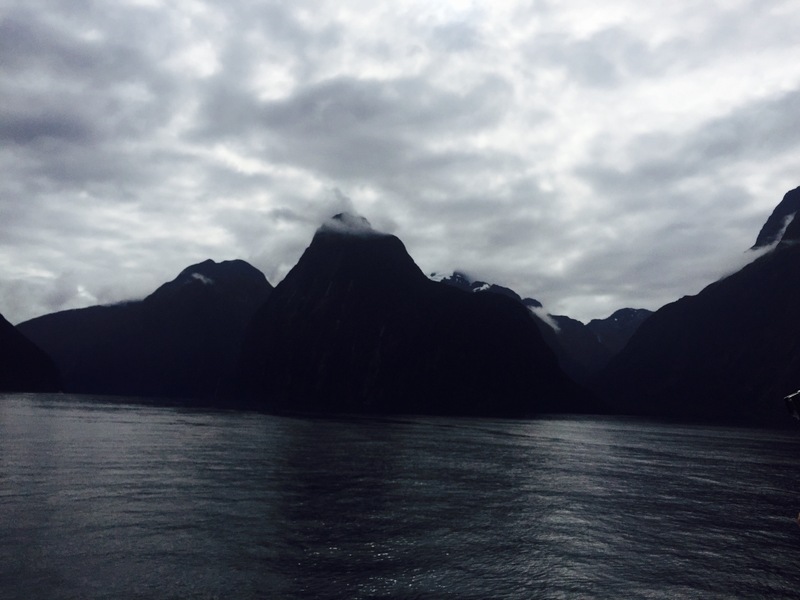 Once we reached Milford we piled onto a boat to get shown the Sound itself. 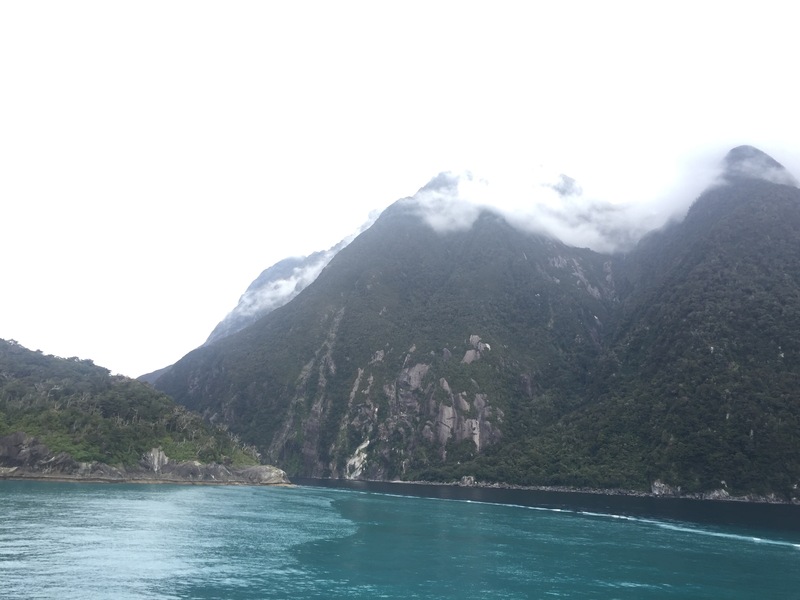 We learnt that it wasn’t actually a Sound at all but was instead a Fiord and that it had just been named the wrong thing by it’s discoverers. 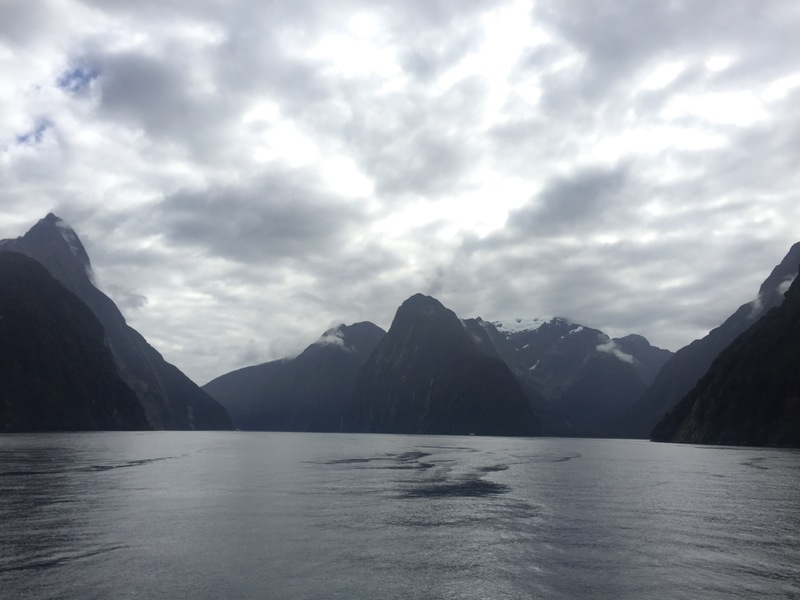 They told us that a Sound is a flooded river valley and is relatively shallow whereas a Fiord is carved out by Glaciers and are normally very deep. 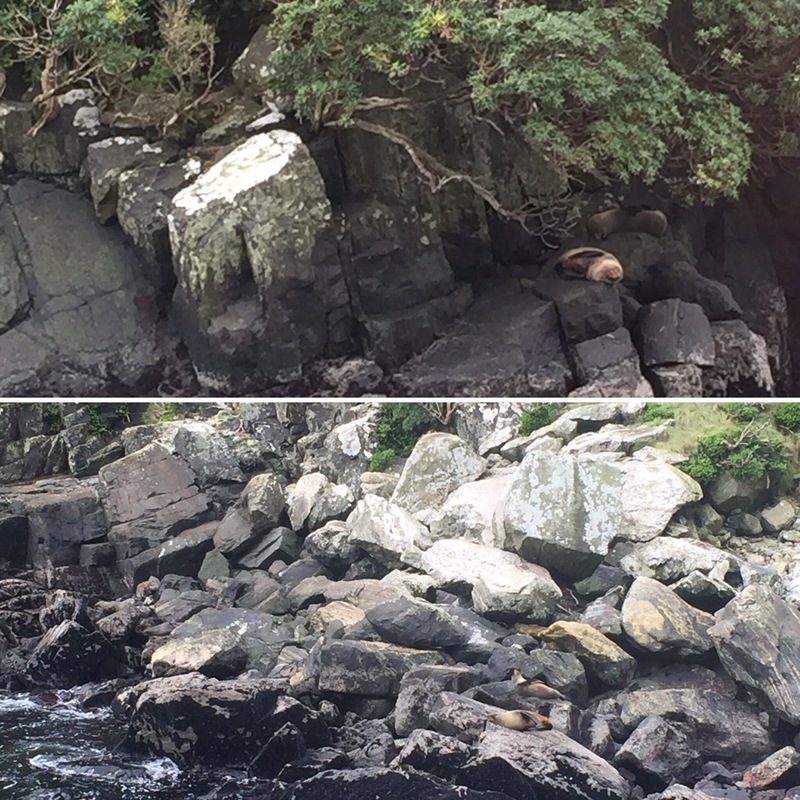 We passed the Bowen Falls which is the tallest Falls in Milford Sound at 164m, went to see where the entrance of the Sound met the Tasman Sea (you can see be crossing of the two bodies of water) and saw a lot of little seals relaxing and playing on the rocks nearby. 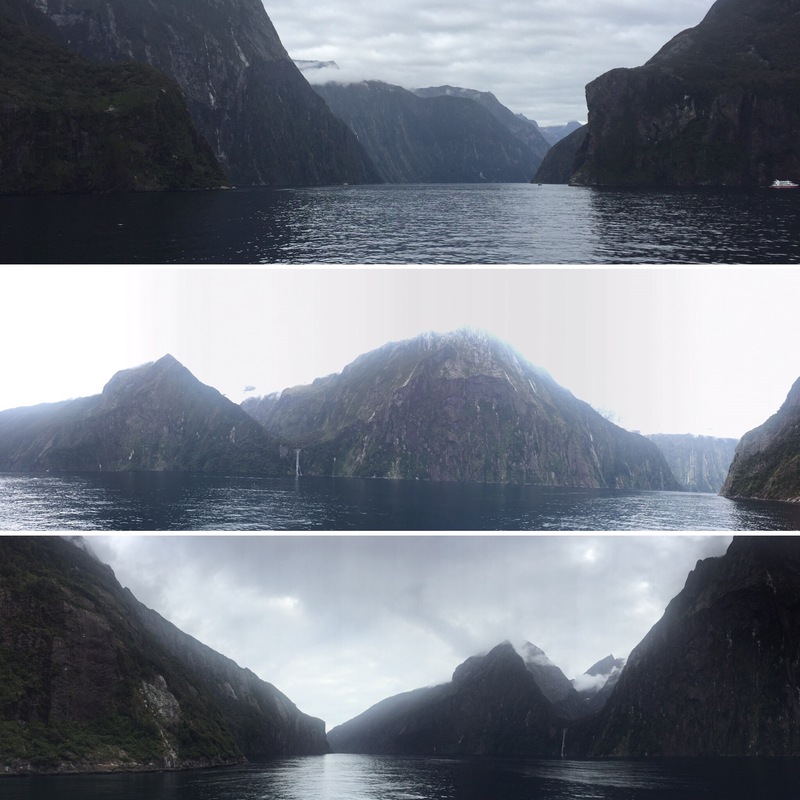 Milford Sound is a stunningly vast place which we were told is more impressive either during or just after the rain. 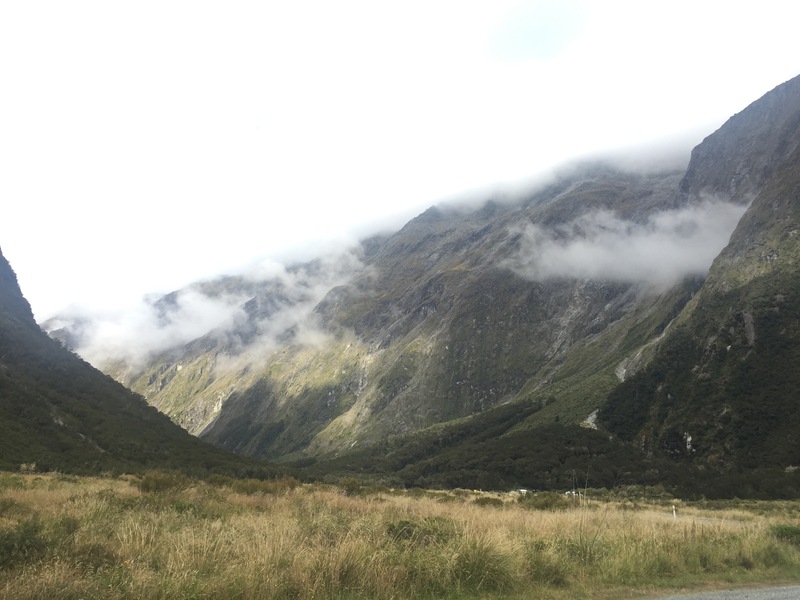 As we just had cloud that was slightly disappointing (mainly because it made it colder) but we still had a great time and was so glad we got to go there and see it for ourselves.